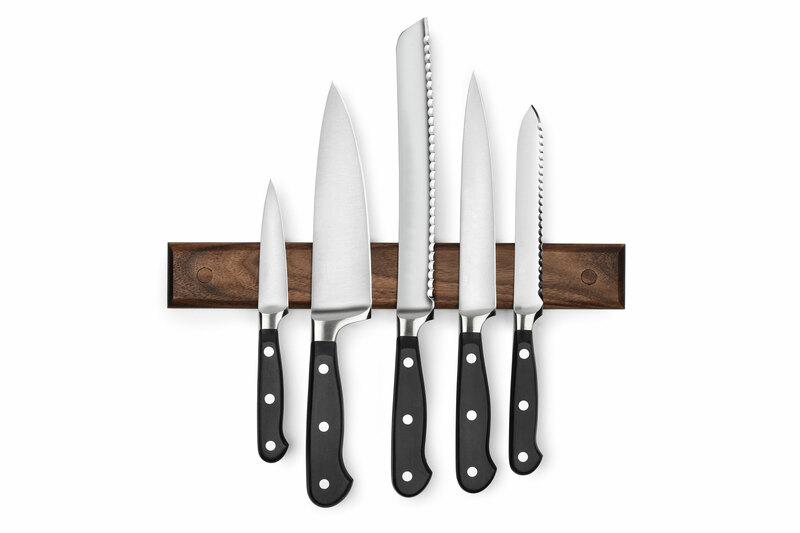 Magnetic knife bars are designed to keep your knives magnetically mounted to the wall and free up cooking work space. 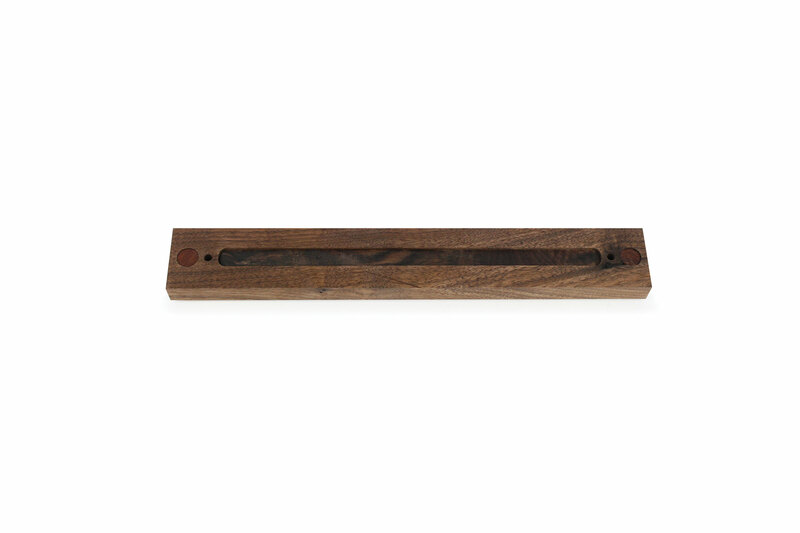 This unique knife bar is assembled with a single neodymium magnet, which allows you to position knives anywhere across the entire surface. 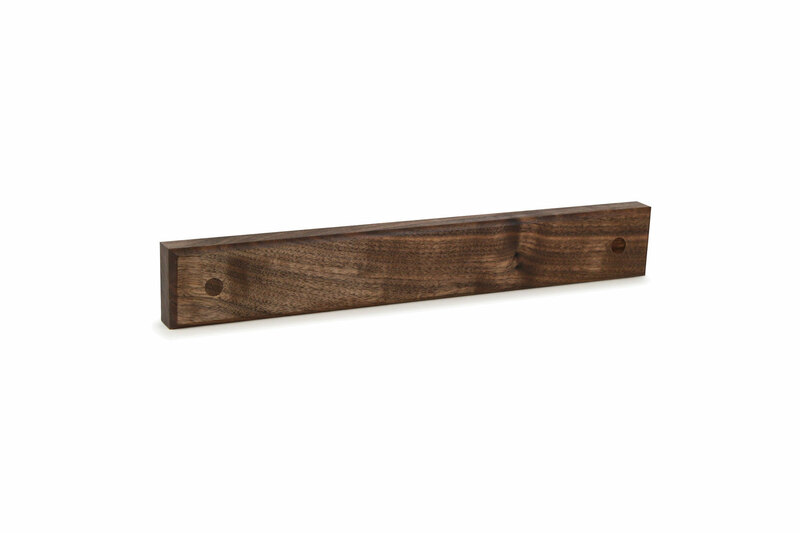 Securely holds knives, kitchen tools, jewelry, as well as other ferromagnetic items you choose. The bar is designed to be securely mounted to a wall through the front of the holder to prevent it from pulling away during use. 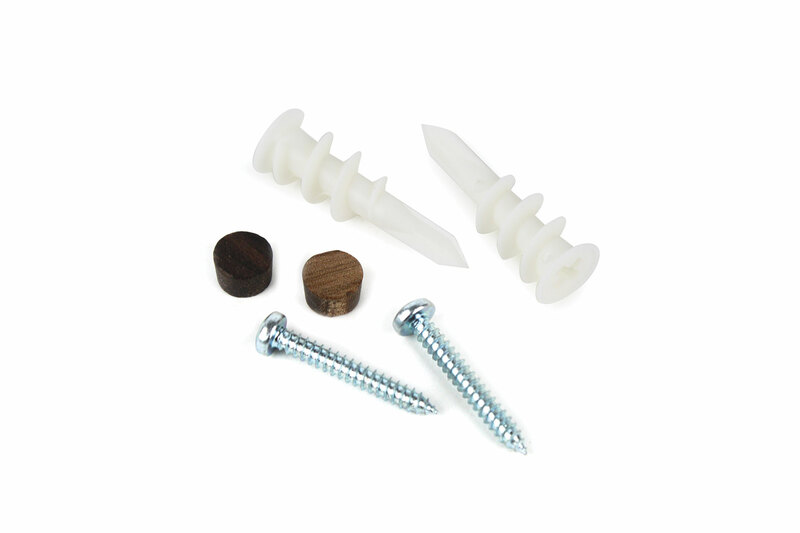 Includes two screws, two plastic anchors, and two wood plugs. 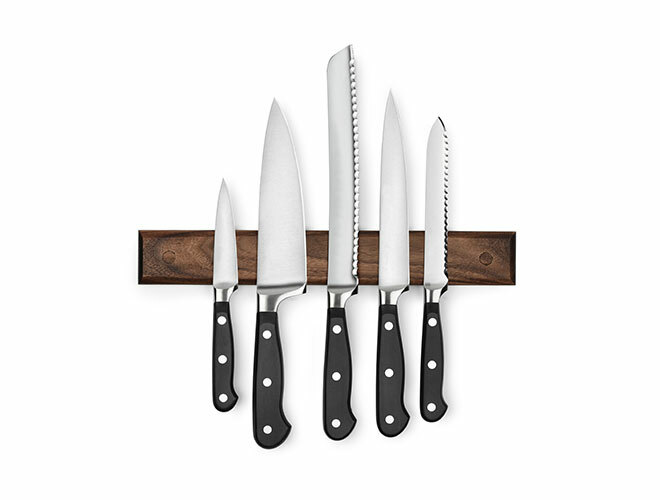 Unlike metallic magnetic holders which can scratch, dent, and potentially encourage rust formation due to moisture trapped between the metal holder and knives, the surface of this holder will not harm knives since it's made of wood. 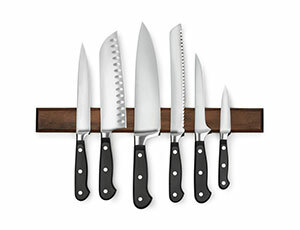 Magnetic knife bars are also superior to counter top knife blocks because they are much easier to clean and keep dry. 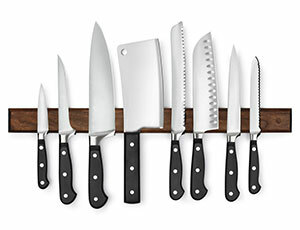 Counter top knife blocks can get moisture, food, and other debris buildup in the knife port holes which can promote mold or bacteria growth potentially contaminating your food when you use your knives. 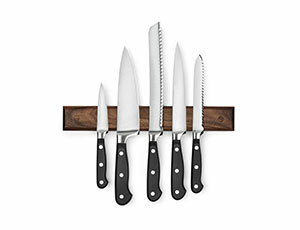 In addition, placing or removing your knives from a knife block dulls the knives blades faster as they are constantly dragged along the lower inside lip area of the knife block port holes.